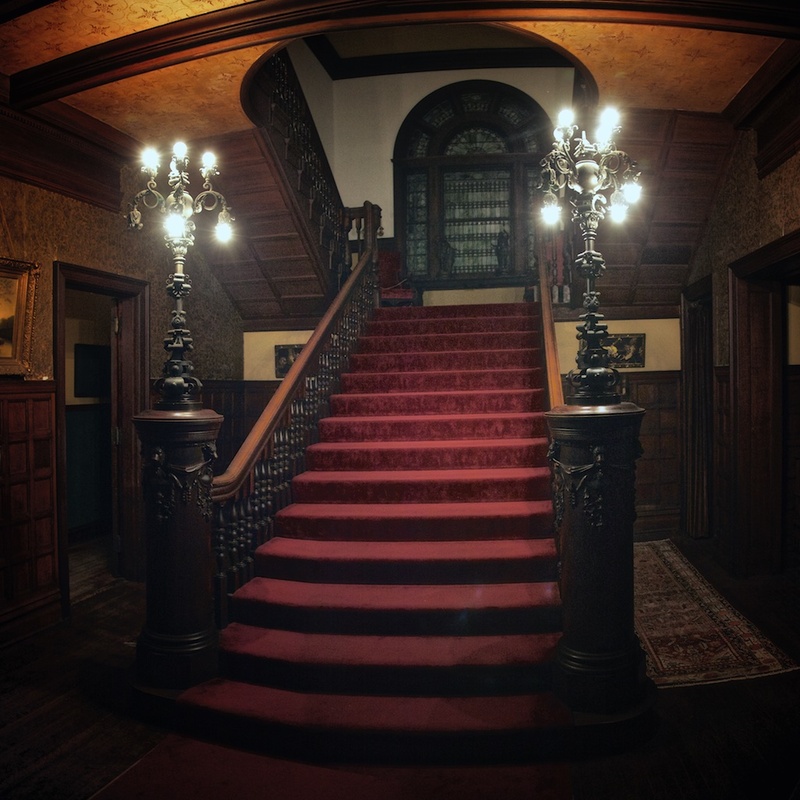 Haunted hotels, bed and breakfasts with ghosts … there are countless places to spend a spooky night across the country. Let’s face it, ghosts don’t appear on schedule and usually not at all. 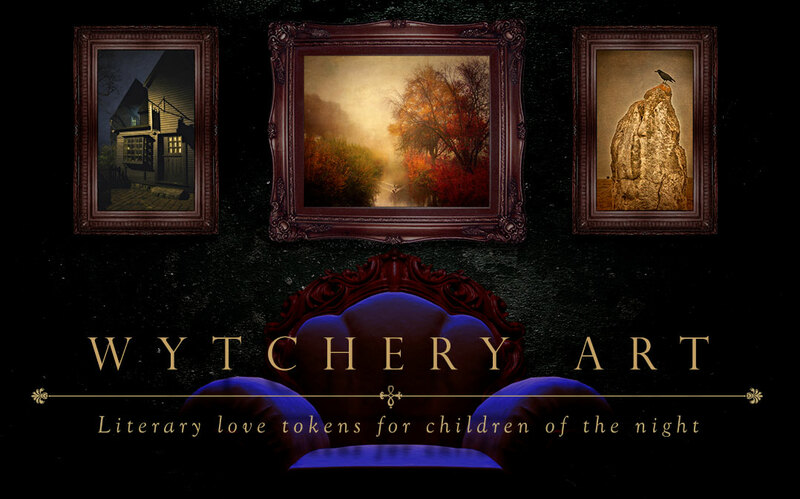 So if you’re spending the night someplace spooky, it should be somewhere full of stories, comfort and ideally, a well stocked bar and good restaurant. Here are four of the most elegantly creepy hotels, inns and bed and breakfasts to spend the night in the midwest. For your convenience they’re laid out geographically to minimize drive times, or you can tackle them one spooky night at a time. 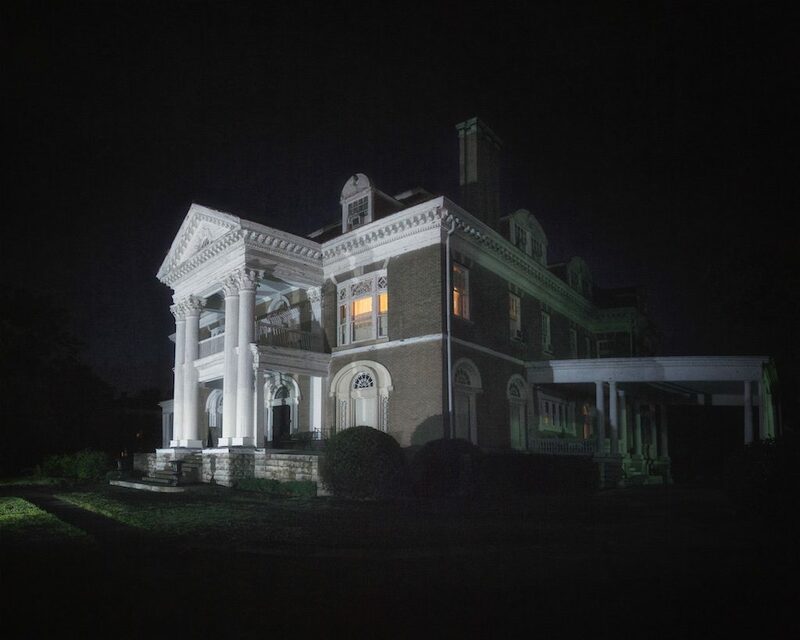 Built at the turn of the twentieth century by a lumber baron who knew his wood and made sure his home was filled with the best, John Cruickshank’s Rockcliffe Mansion stands high on a rocky bluff overlooking Hannibal. The town made famous by its native son, Mark Twain is crawling with creepy goodness, none more so than Rockcliffe. It was destined for the wrecking ball till they unlocked the doors to the abandoned house and found nearly all the furnishings intact, as though a gilded age family just left for the afternoon. Which is essentially what happened, for when Cruickshank died in his bed in 1924, his wife moved out of the house to live with her daughter and never came back. Today it’s run as an upscale bed and breakfast to a limited number of guests, and it’s as close as you can get to the feel of living in your own golden age mansion. A single family lived in Rockcliffe, nearly all of which have been seen or heard in the years since their deaths. John Cruickshank who had his share of scandals and infidelities has been heard on numerous occasions coming back or going out on his nightly rambles, his booted footsteps going down the servant’s staircase. Mark Twain stayed here as Cruickshank’s guest on his final visit to Hannibal. As my kid was quick to point out, you get to poop on the same original wooden toilet seat, that Mark Twain sat on. How many places can boast that one? 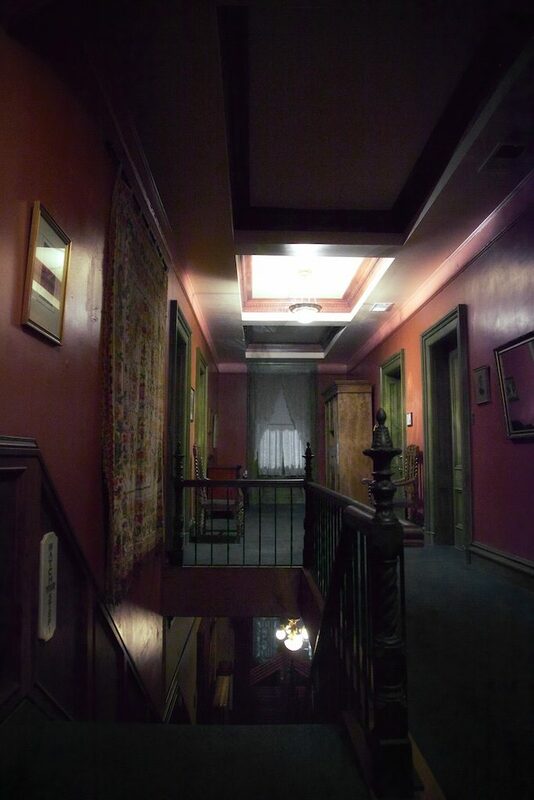 There are tours of the house during the day which are highly informative and interesting to boot. You get complimentary wine, cheese and fruit on the side porch on arrival, which like almost all of Rockcliffe affords amazing views of Hannibal and the Mississippi River. Inside it’s like a living museum, for Cruickshank spared no expense in decorating his home to match his and his wife’s exquisite and eclectic tastes. And you have all of Hannibal below you, one of the best walking towns in the midwest. If you’re lucky, you might bump into the Cruickshanks while you’re there. What’s not to love? For more photos of Rockcliffe Mansion, click here. Less than three hours south of Hannibal, along the Mississippi lies St. Louis, gateway to the west. Also the birthplace of mass produced beer in the U.S., and one of the family’s that ruled that trade was named Lemp. William Lemp moved his family into a home built by his father-in-law and turned it into a palace. He was also the first Lemp to die in the house, blowing his brains out in his study. His son Billy took over the house and the business, moving in with his wife Lilly. Beneath the house, carved into the caves that made lager beer production lucrative was a swimming pool, which became Billy’s playground, hosting wild parties, featuring prostitutes, orgies and an endless supply of beer. Billy is believed to have fathered an illegitimate child, born with bird defects and kept on the top floor. Known as the monkey face boy, he died in a fall down the stairs. The family business took a nose dive with prohibition and Billy underwent a scandalous divorce, which exposed his bizarre and somewhat dangerous personal habits to the public. 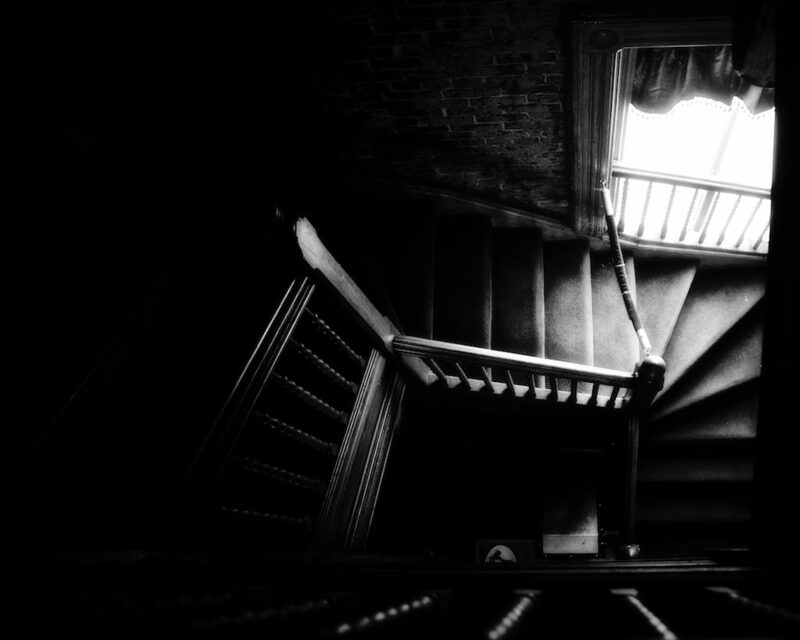 Billy ended his life with a bullet to his chest in his bedroom at the Lemp Mansion, two years after his sister Elsa killed herself. 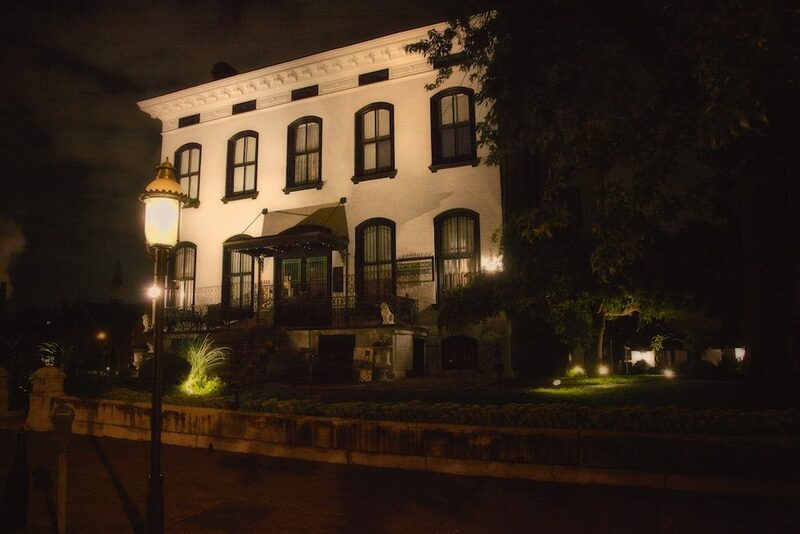 Billy’s brother, Charles was the last Lemp to live in the family mansion. One day Charles took his dog to the basement, shot it, climbed the stairs to his bedroom and shot himself in the head while lying in bed. 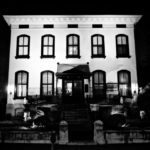 Lemp Mansion was not a happy place. Many say it still isn’t, with the most haunted room being Elsa’s bedroom. You can spend the night there, though standing outside the door of her room in total darkness one evening, just soaking up the vibe, I decided I wouldn’t. I instead opted to sleep in Charles Lemp’s bed. I didn’t see anything, but I did spend the night listening to conversations going on in the house. We were however, the only people on the premises. 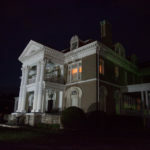 Lemp Mansion is still not a happy place. 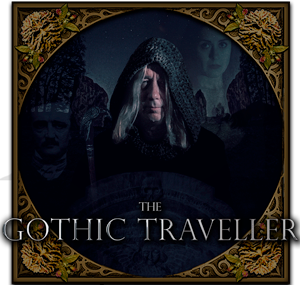 Except for the ghost tours which they run, some of which even provide equipment and the opportunity to be a part of a ghost hunt. It’s a very happy place on Sunday when they have a traditional midwestern Sunday dinner, with all you can eat fried chicken , roast beef … everything you remember from old fashioned Sunday dinners. In addition to being a popular restaurant, they also have a well stocked and quite ambient bar. 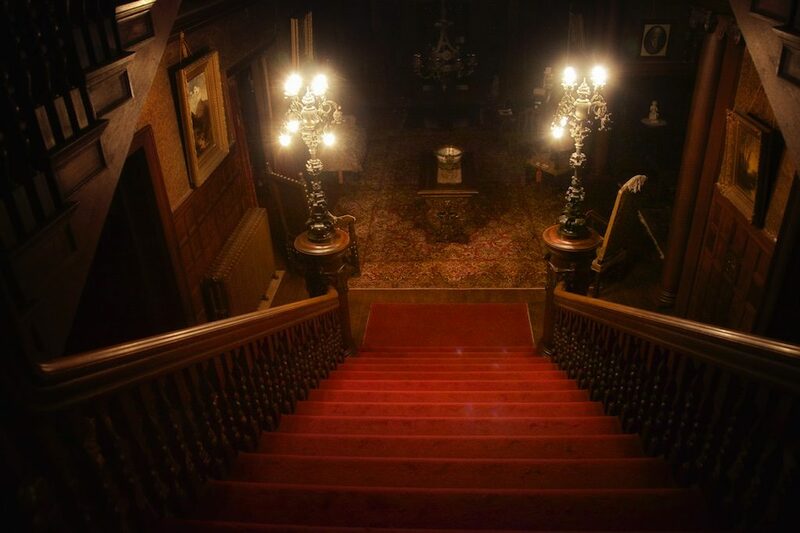 Spending the night starts at $180 it’s an amazing place to wander, so you’ll want to take the full tour to discover the brilliant early twentieth century furnishings. But as noted, there is no staff on hand to hear you scream after closing. Well worth a night. 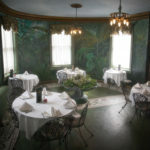 For more photos of Lemp Mansion, click here. From the golden age we go to the colonial era. Cut across Illinois on I64 and head east (stop along the way and I’ll buy you a beer) to Louisville, then cut south and you find yourself in the charming little town of Bardstown. Bardstown still boats a wealth of late nineteenth century architecture, or in the case of the Old Talbott Tavern, 18th century. Built in 1779 with Flemish architecture and stone walls two feet thick, the Talbott Tavern has hosted a wealth of famous people, including Washington Irving, Henry Clay, Stephen Foster, John James Audubon, General George Patton, as well as former presidents Andrew Jackson, William Henry Harrison and Abraham Lincoln. 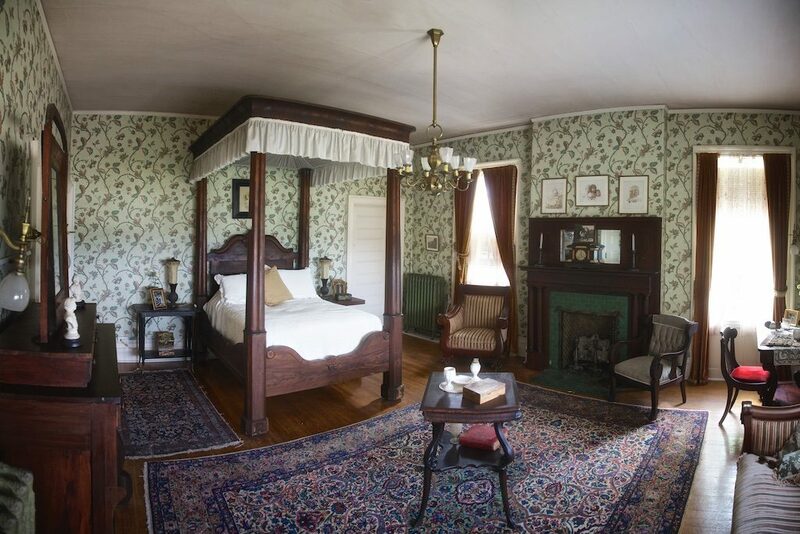 An exiled king of France stayed here, as well as noted outlaw Jesse James. Jesse’s been rumored to still hang around the place, as well as the family of a previous owner. This proprietor was particularly unlucky, losing six children all within the walls of Old Talbott Tavern, including one from a fall down the stairs, and another to suicide. 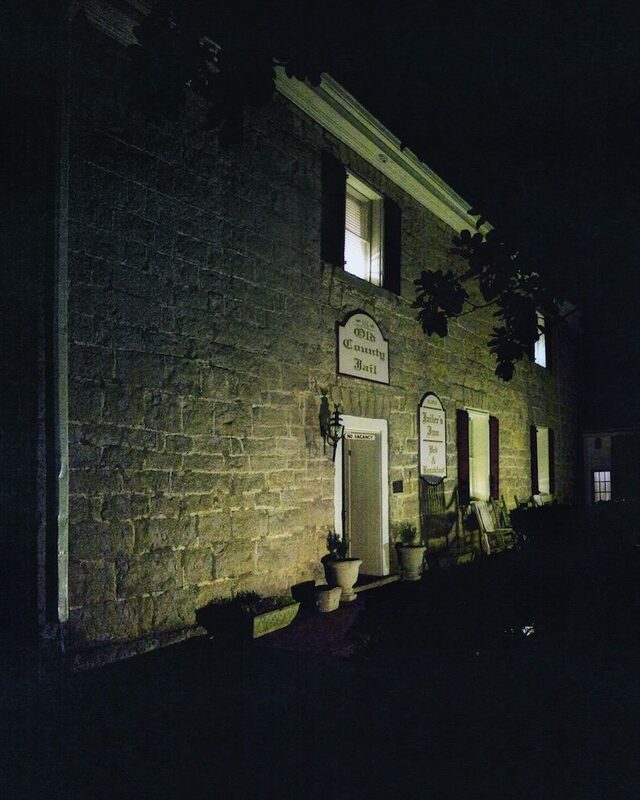 There are more than enough ghost stories to warrant its own ghost tour, which it offers, as well as comfortable, historic accommodations. If you’re somewhat sensitive to things ghostly and easily rattled, perhaps the Talbott Tavern isn’t the place for you. I spent one of the most absolute worst night of my life there, and it had nothing to do with the room or the inn itself. I wouldn’t have traded it for the world perhaps, but you’re better off going when you feel healthy and strong, or at least oblivious to all things haunted. Talbott’s has a pretty fair restaurant with traditional southern fare, and a very well stocked bar next door. That they have an extensive bourbon selection goes without saying as Bardstown is in the heart of bourbon country. Be aware however, that on weekend the place is jumping, with live music till 1 a.m. You’ll want to stay in the old part of Talbott’s Tavern and the price of a room begins at about a hundred bucks. 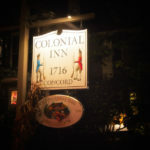 For more information, visit Talbott Tavern’s website. 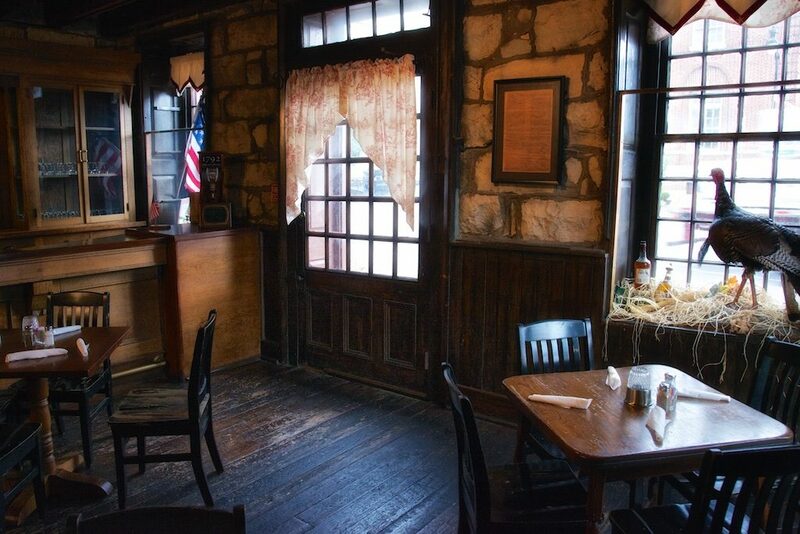 To read our review of Old Talbott Tavern, click here. For more photos from Bardstown, click here. 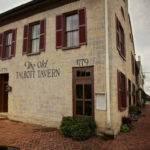 Next door to the Old Talbot Inn, the Jailer’s Inn was built early in the nineteenth century to serve as the Nelson county jail. With stone walls three foot thick, it was supremely suited to hold some of the area’s most notorious and violent criminals. Today it’s a bed and breakfast and those walls appear to still keep the spirits in. One of the earliest jailors, a well respected woman of the town is still seen with some frequency throughout the building, and she seems to be fond of watching you sleep. 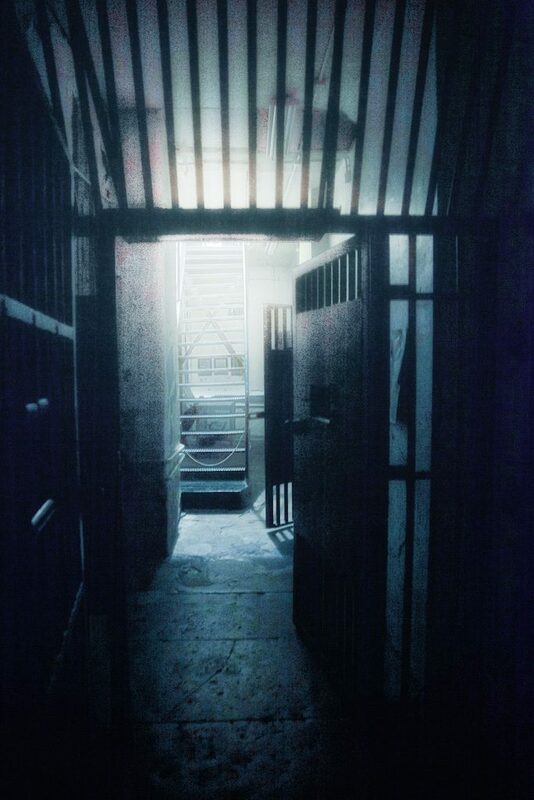 There are also the disembodied voices you’d expect in a place like this, footsteps, a baby crying, the screams of a man being hung from the tree in front of the jail, plenty of audible delights which aren’t altogether uncommon. 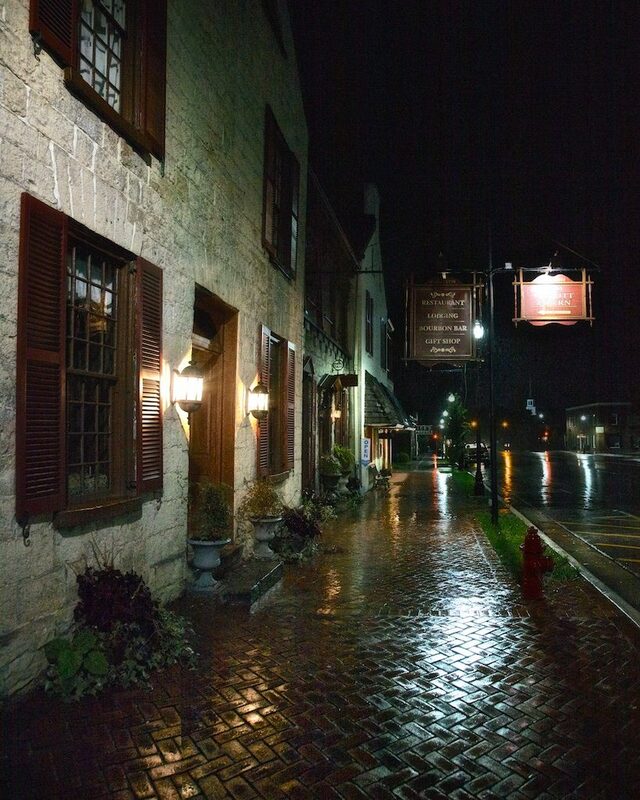 In fact, the Travel Channel named the Jailer’s Inn as one of the Ten Most Haunted Sites in America. The hauntings continue out back in the walled in yard, where the gallows once stood, where apparitions have been spotted on a number of occasions. The bedrooms are nicely furnished, the old part of the jail having long ago been turned into a home for the jailer, with the newer section being added onto the back. 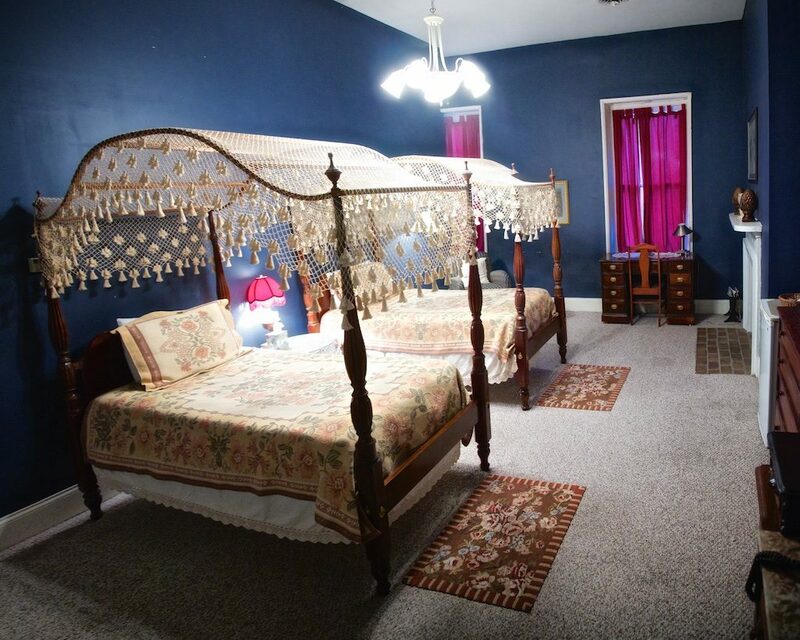 You can also spend the night in the Jail Cell Room, which has two of the original bunks as well as a waterbed. Okay, so the furnishings are a bit tacky, with a Jailhouse Rock theme, but when you pull yourself onto the top bunk with the lights off, things change instantly. You don’t feel alone. Prices start at $100 per night and include an incredibly tasty breakfast. You can always pop next door for a drink at the Talbot Inn, or dinner as well. For more information, visit the Jailer’s Inn’s website.